MI:Lab goes to Coventry Cathedral! Work created by some of Coventry’s young people has been selected for this Friday’s Open Projections event at Coventry Cathedral. Curated by filmmaker Daniel Hopkins, this unique event will see the inside of the Cathedral bathed in films, photography and digital art from local, regional and international artists including work from Australia, Spain and Italy. 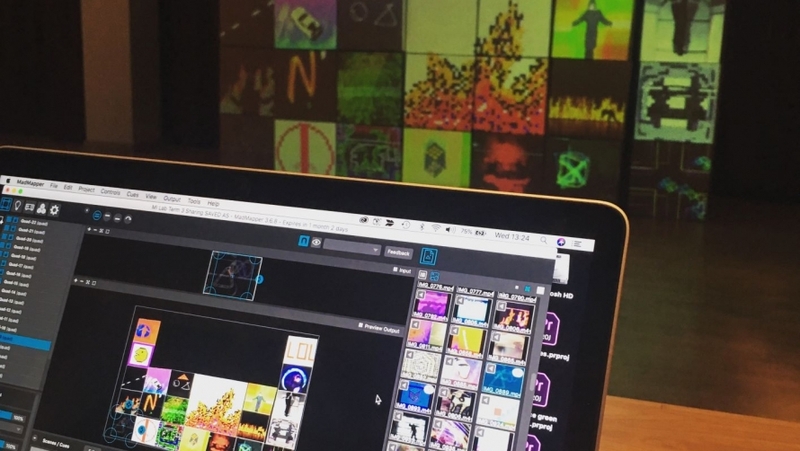 Some of the local work selected has been created by young people from MI:Lab (short for Moving Image Laboratory), a digital arts and experimental media scheme led by the Creative Learning team at Warwick Arts Centre and delivered in partnership with Ludic Rooms. The programme aims to support young people in developing new creative skills in video and animation as well as exploring emerging forms such as virtual reality, projection mapping, interactive media and digital performance. Building upon Warwick Arts Centre’s successful youth theatre programme, the MI:Lab’s group meets every Wednesday evening in term-time to devise, create and showcase digital artworks. The group is open to all young people aged 13-18, if you’d like to get involved please contact creativelearning@warwick.ac.uk or call 024 7615 1793. The project also delivers free after-school workshops in three Coventry secondary schools; Westwood Academy, Barrs Hill and President Kennedy. Open Projections at Coventry Cathedral starts at 7.30pm on Fri 5 Apr and is FREE to attend. All ages welcome.